Quick response codes, or QR codes for short. If you take a moment and think back, chances are you can remember seeing these little scannable square boxes somewhere. Maybe you recall seeing them on the back of a clothing tag, on a table card at a restaurant offering 2-for-1 Margaritas, or even on a postcard talking about a home WiFi system (see more examples). 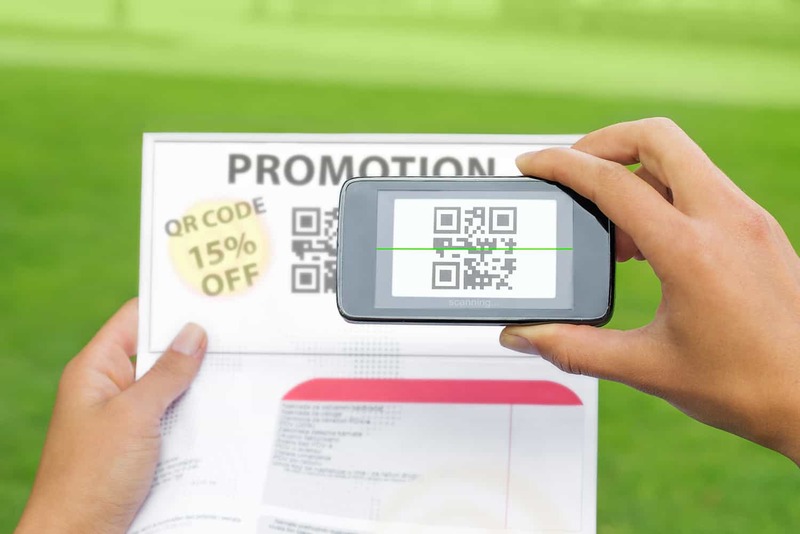 At any rate, QR codes are really useful—they can be used in a variety of engaging ways. For example, you can direct someone to your website and provide them with a coupon for a product or service (see the image below), or use a QR code as a method to share your contact information. Unfortunately, QR codes have never been widely adopted. Maybe they were a bit ahead of their time or cumbersome to use, meaning you had to download an app to scan the code—definitely not as easy as clicking a button or typing a URL into an address bar. However, with some recent iOS software updates from Apple, things have changed. One new feature from the recent release is the ability to scan QR codes with your camera (as shown below). This feature was already native to Android, and we’re excited to see that Apple has adopted it as well. Now scanning a QR code with either an iPhone or Android device is as easy as 1, 2, 3. Step 2: Hold the device’s camera up to the QR code. Step 3: That’s it! Your device will automatically recognize the QR code and provide you with an on-screen notification. No need to hit the shutter button. Another cool feature you may or may not be aware of is that QR codes are customizable (customize your own). Here’s a quick example of a Gunderson Direct branded QR code. Go ahead, give it a scan and see what happens! Back in the day, we used to incorporate QR codes into lots of creative material for various direct mail campaigns. Now, with the new ease of use, we think it’s time to consider them in direct mail once again. With the native ability to scan them with your camera on both iPhones and Androids, it’s a quick and engaging way to get someone to your website or to let them redeem an offer, as mentioned above. 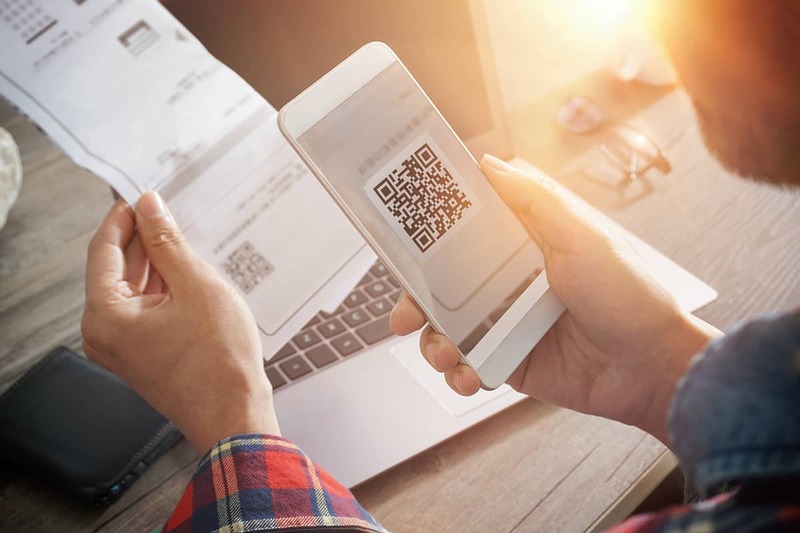 If you have more questions about QR codes, or want to integrate them into your next direct mail campaign, we’re only a scan away! James studied business marketing at St. Mary’s College of CA and has worked in everything from account management to graphic design. With his background he will make sure your work succeeds while looking good too! A basketball fan, skier, and dog lover; James has many interests but those are just a few.